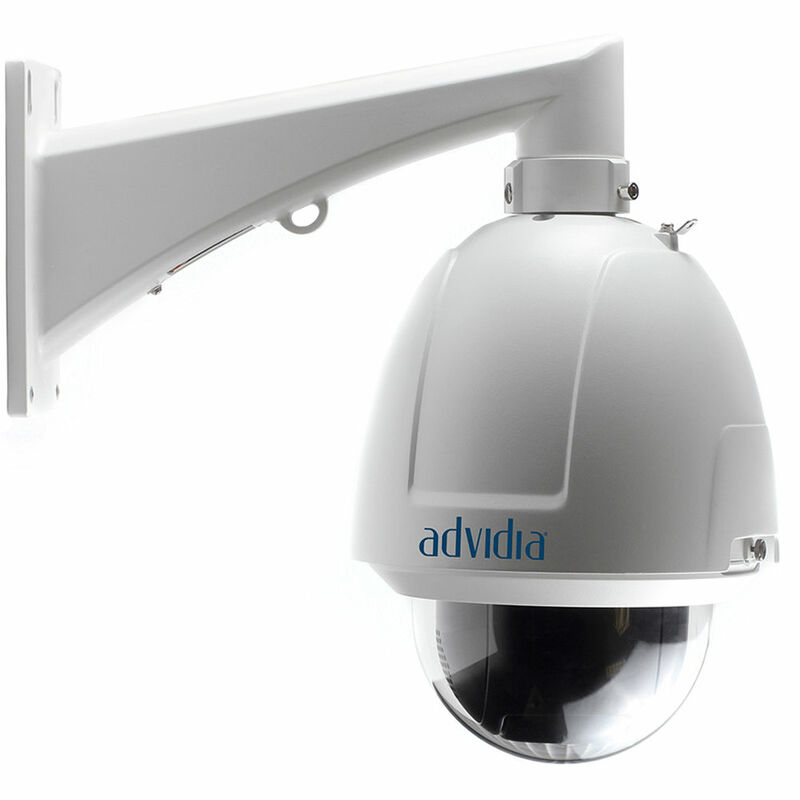 The A-200-P 2MP Network Outdoor PTZ Speed Dome Camera from Advidia features a 1/3" progressive scan CMOS sensor and 4.7 to 9mm varifocal lens to capture video at a resolution of up to 1920 x 1080. Featuring 20x optical zoom, 2MP resolution, and an IP66 weatherproof rating, it can capture detailed video and is suitable for watching parking lots, stadiums, or other wide outdoor areas. It supports H.264 and MPEG-4 video compression standards with a high compression ratio.